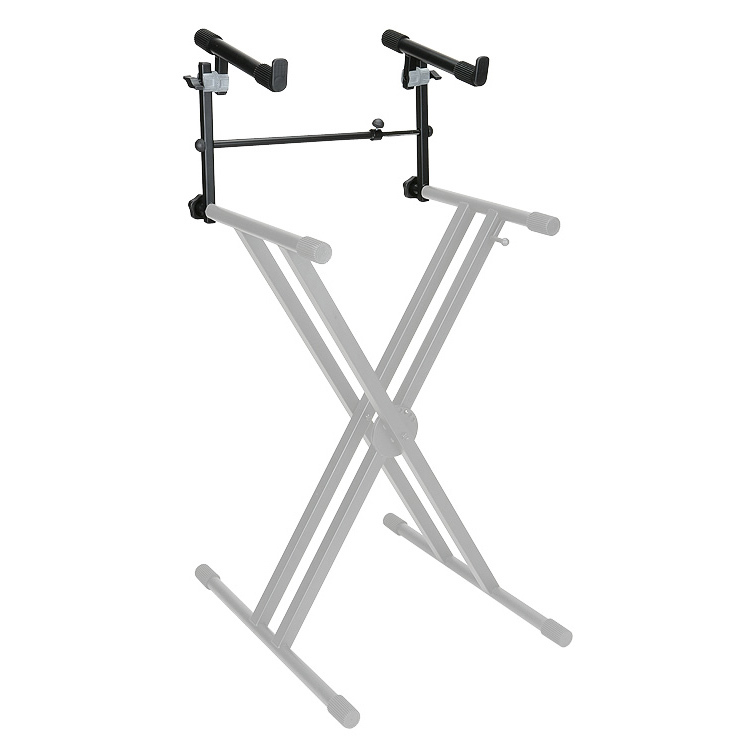 Proline’s sturdy keyboard stands support medium to full-sized keyboards, as well as DJ gear and mixers. 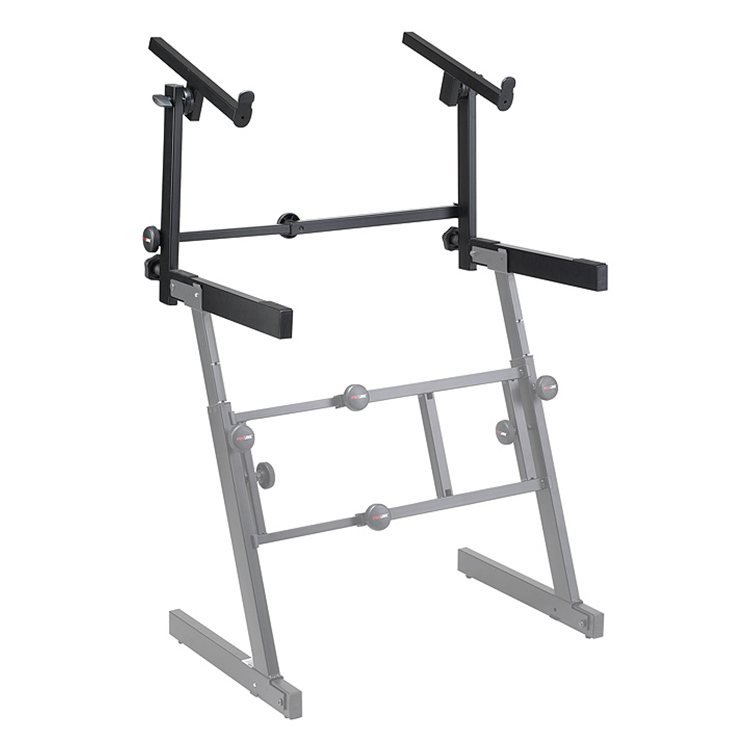 With features like locking height and width adjustments, quick-release levers and fully welded contact points, you get maximum flexibility and support in any rehearsal or performance situation. 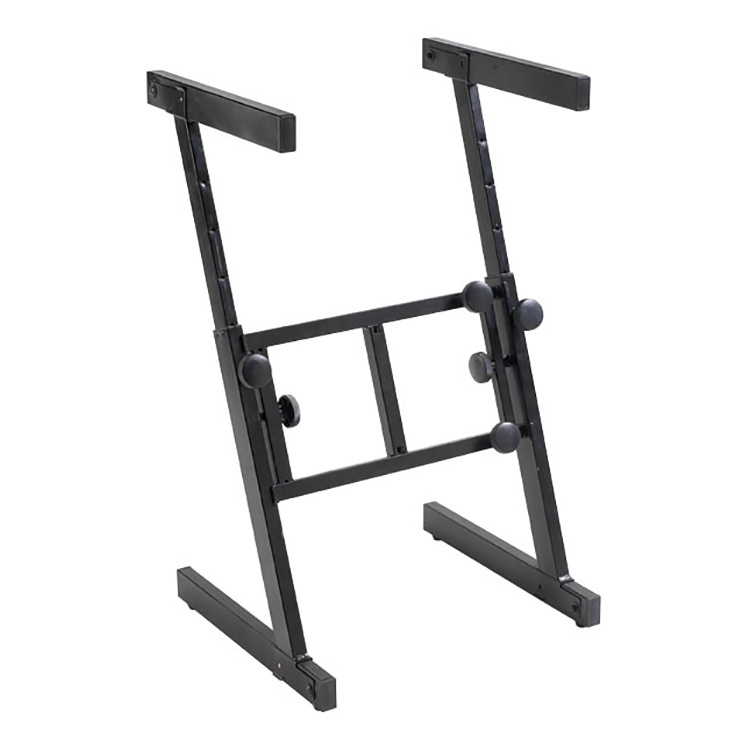 Heavy-duty keyboard X-braced stand, height adjusts from 27″ to 37″. Lightweight and inexpensive single-tier keyboard stand. Folds up neatly for easy transport, comes with rugged rubber skids to prevent the keyboard from slipping arounds, as well as with rubber foot skids that give it a stable purchase on the floor. 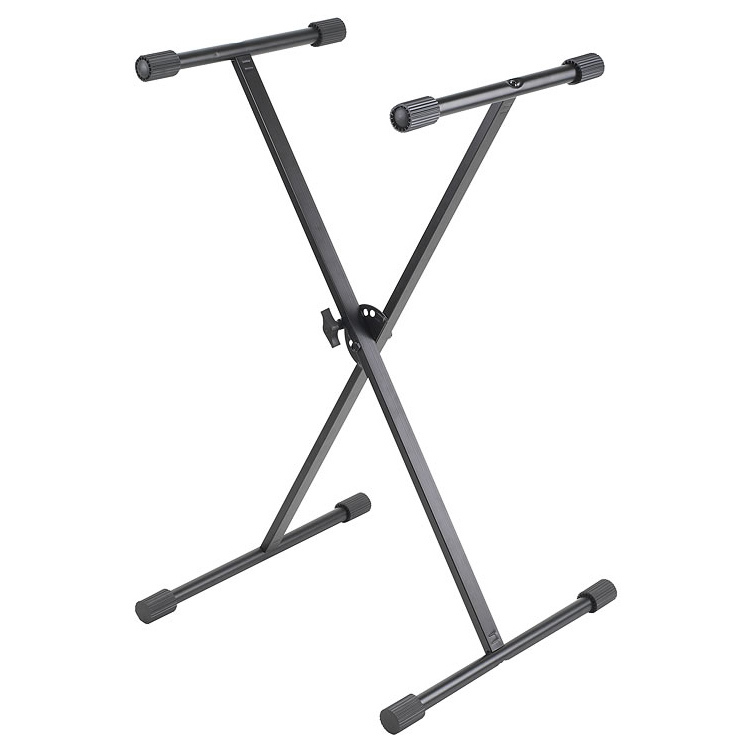 Lightweight and inexpensive single-tier keyboard stand with double bracing. It folds up neatly for easy transport and comes with rugged rubber skids to prevent the keyboard from slipping around, as well as with rubber foot skids that give it a stable grip on the floor. Space-saving keyboard stand tier with angle adjustment control, length adjustment, and non-slip rubber contacts. Fits any keyboard with a 1″ diameter tubular design. 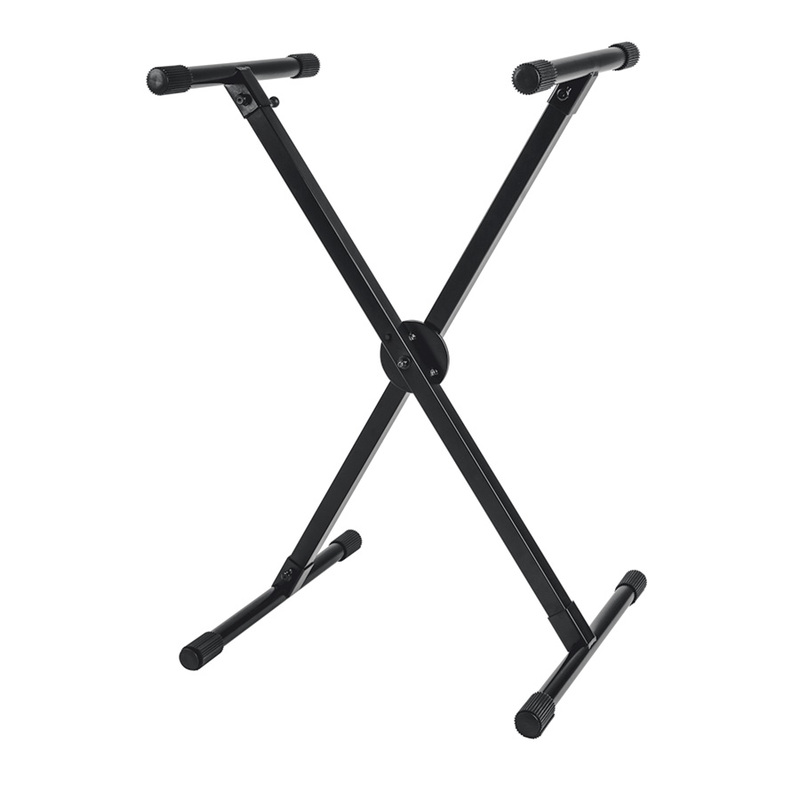 Space-saving keyboard stand tier with angle adjustment control, length adjustment, and non-slip rubber contacts. Fits the PL700Z keyboard stand. 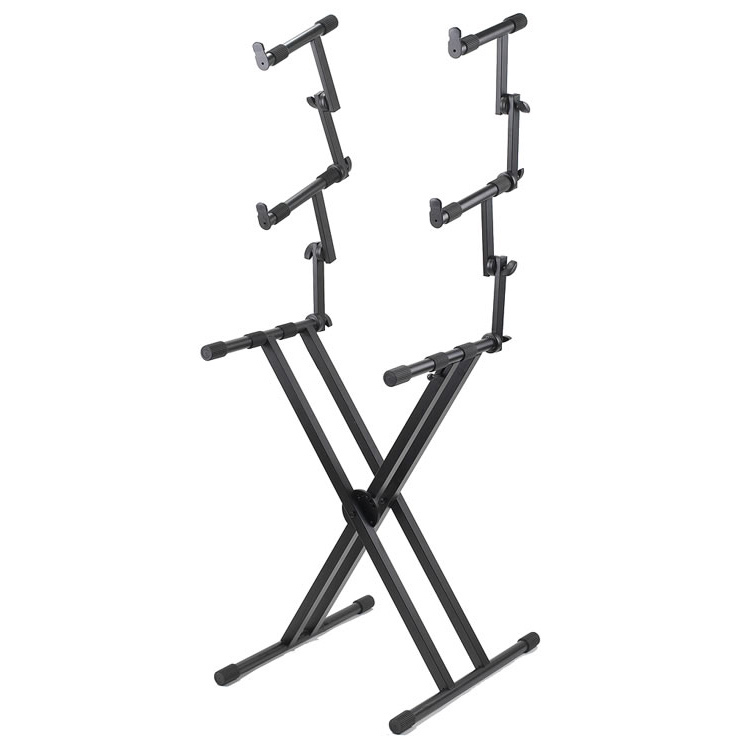 Versatile Z-stand designed with ultra-sturdy rectangular tubes and convenient “Fold n’ Lock” design. Adjustable height from 24″ to 38″, adjustable width from 21″ to 36″. 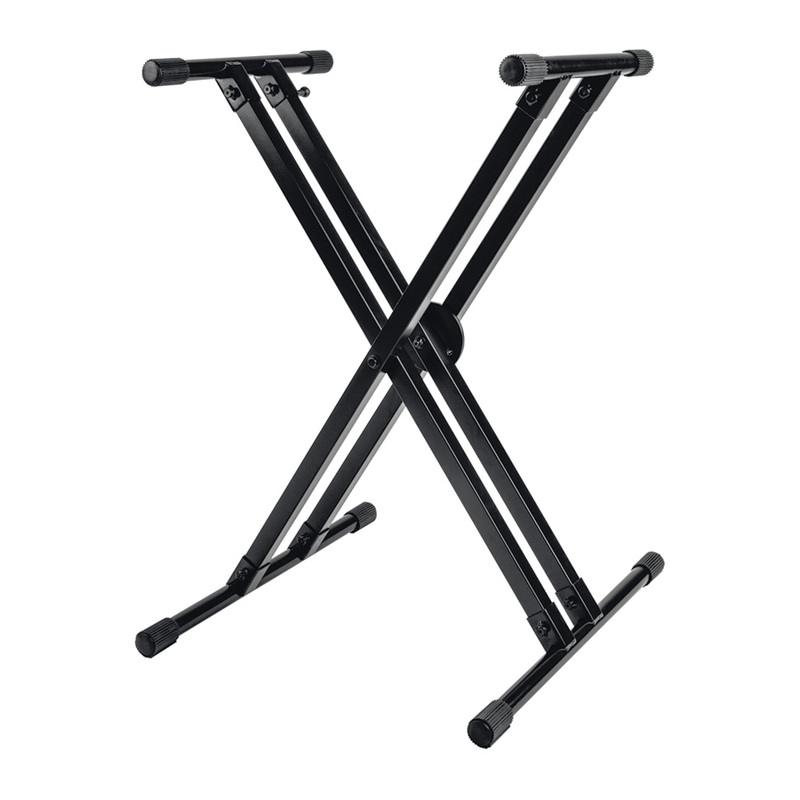 Two-tier, double X-braced keyboard stand. Adjustable height from 26″ to 37″ and adjustable width from 11″ to 31″. Extended base support, quick-release spring-action lever, adjusting leveling feet, and non-slip rubber protective contacts. 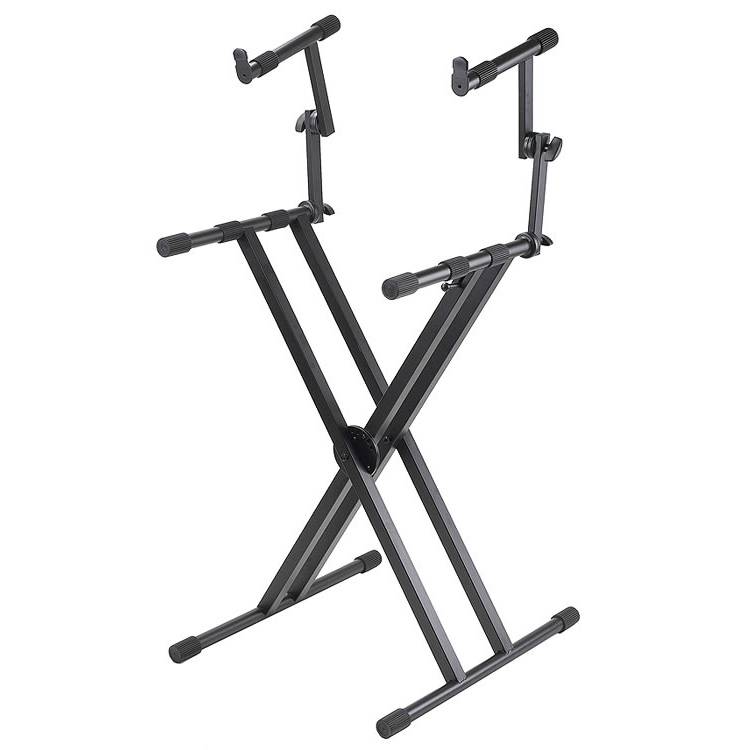 Three-tier, double X-braced keyboard stand with single tier. Adjustable height from 26″ to 37″ and adjustable width from 11″ to 31″. Extended base support, quick-release spring-action lever, adjusting leveling feet, and non-slip rubber protective contacts.